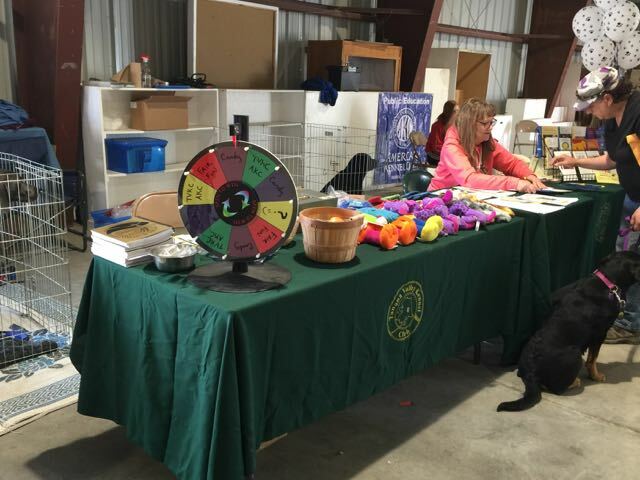 Pet Awareness Day 2017 – Companions, Inc.
Pet Awareness Day was a grand success! 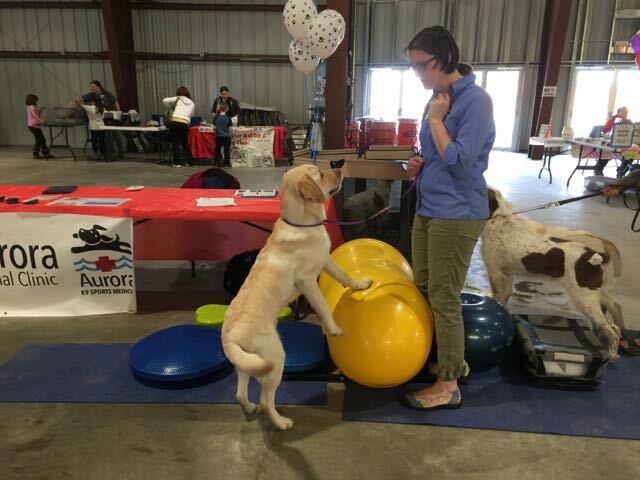 Hundreds of happy people attended and met dogs, and learned about such things as service dog training, dog rehabilitation, freight dog activities, AKC events in Fairbanks and much more. 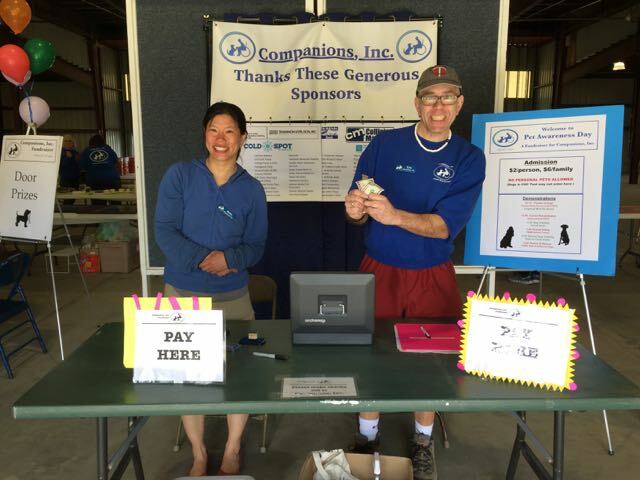 Through our silent auction, we raised more money for Companions, Inc. than last year. We streamlined our tables, and set up more pay stations so that check-out at the end of the auction went smoothly, and with much less waiting than last year. Congratulations to all the auction winners! The food was delicious and efficiently served (and quite affordable, too). Thanks so much to the Bake Sale and Food/Barbeque teams! Thanks to all our volunteers, including those West Valley Highschool football players who were much-needed for the huge task of setting up, and taking down all the tables, chairs, signs and so many things involved in creating a huge event like Pet Awareness Day. Supreme thanks to Bobbi Ross, who, as the event Co-ordinator, always goes over and above to create an even better Pet Awareness Day every year! Thank you so much, Bobbi! Photos uploaded: Dog rehabilitation with Aurora Animal Hospital, Eric and Daisy greet Pet Awareness Day visitors, Tanana Valley Kennel Club booth–all these go with the Pet Awareness day post. Quilt picture goes with the Run With A Friend post, as does silhouette dog holding a leash.